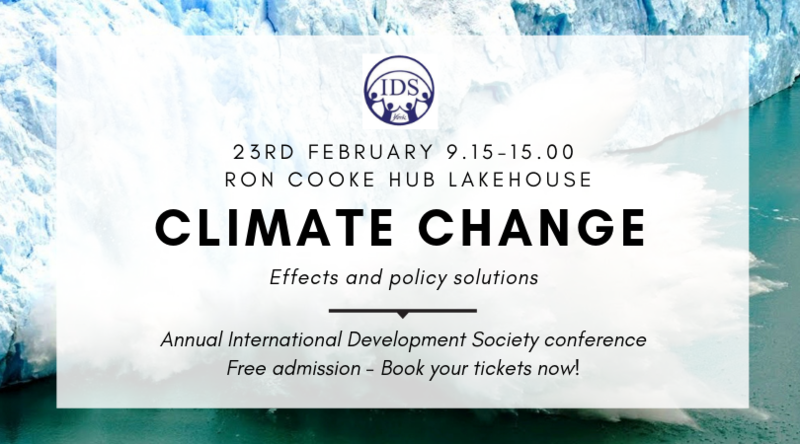 The theme of this year’s conference is climate change, especially concerning the effects it has on the developing world and the necessary domestic and international policy steps to undertake. During the day, five academics from different universities and with different backgrounds will speak to us about this problem and will answer any questions we might have about their research and their work. Moreover, Jo Musker-Sherwood, director of the NGO Hope for the Future, will talk to us about her work with the organisation and will answer any questions about working in the public sector. We are also offering lunch, during which you can participate in a quiz to test your knowledge of the topic and win different prizes, and nibbles and wine at the end of the event. This is a perfect opportunity to network with the speakers and ask any additional question you might have! Grab your tickets now and we look forward to welcoming you!